As a not-for-profit organisation, school fees are a significant and essential source of revenue for St Stephen’s School, alongside State and Federal Government funding. We deliver an affordable, excellent education that ensures every child is given the opportunity to learn, explore, create, imagine, serve and excel. 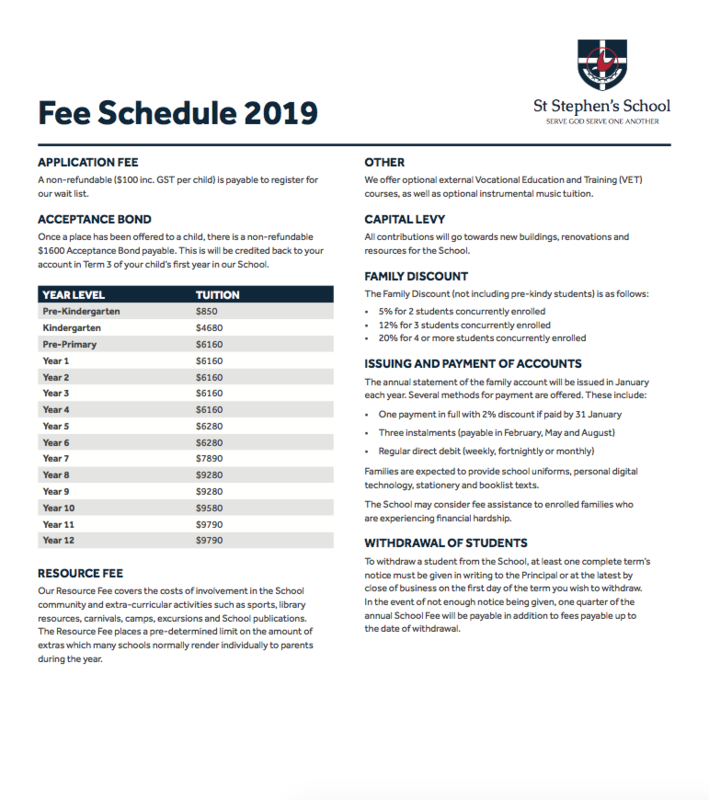 For more information about our fees and payment options, contact St Stephen’s School Registrar Gayle Pieterse on 9243 2471 or email admissions@ststephens.wa.edu.au.